This utility tells you how many duplicate values there are in your selected range. You can choose to paint all duplicate cells with a certain color. 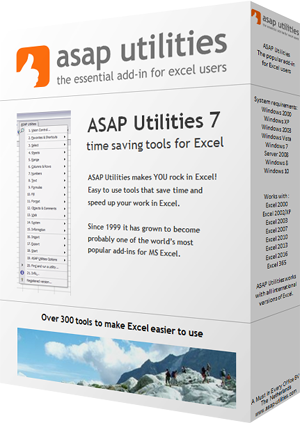 The utility is case sensitive which means for example that "Excel" and "EXCEL" are not the same. If your selection contains formulas then this utility compares the calculated values. This means that this utility considers a cell with the value 12 and a cell with the formula =3*4 as a duplicate. « Return to the list of “Information” tools.